The Sabry M. Attia Endowed Support Fund has been established at the Wayne State University School of Social Work, providing $25,000 to support operations in the school. 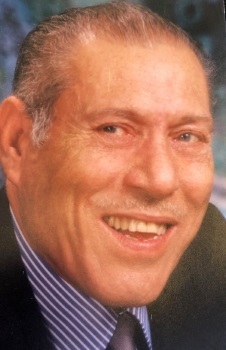 The support fund, which can be used at the dean’s discretion for such things as research, equipment, lectures and education, was established by Mervat Sabry Hassan (CLAS ’98) in honor of her late father, Sabry M. Attia (pictured above), who came to the United States in 1970 to begin a new life with his family. Settling in Grosse Pointe with his wife and four daughters, he worked at Henry Ford Hospital while completing his Master of Social Work at Wayne State, where his eldest daughter and later his wife were pursuing degrees as well. Upon completing his M.S.W. in 1973, he earned his Ph.D. in Education at Wayne State in 1985. Hassan recalls that her father loved his career as a social worker, and that it was his wish to support the School of Social Work to encourage others to pursue careers in the field and improve the lives of others. Noting the “soft spot” in her own heart for social workers, nurses and teachers, all of whom provide “a huge service to the community,” Hassan said her father exemplified the best qualities of these professions. “He was always big on public service and stressed the need to be kind and compassionate with everyone, including people you don’t know but who may need your help,” she said. For additional information on making a gift to the School of Social Work visit our giving page here or contact the Social Work Director of Philanthropy, Jana McNair at jana.mcnair@wayne.edu or 313-577-4429.